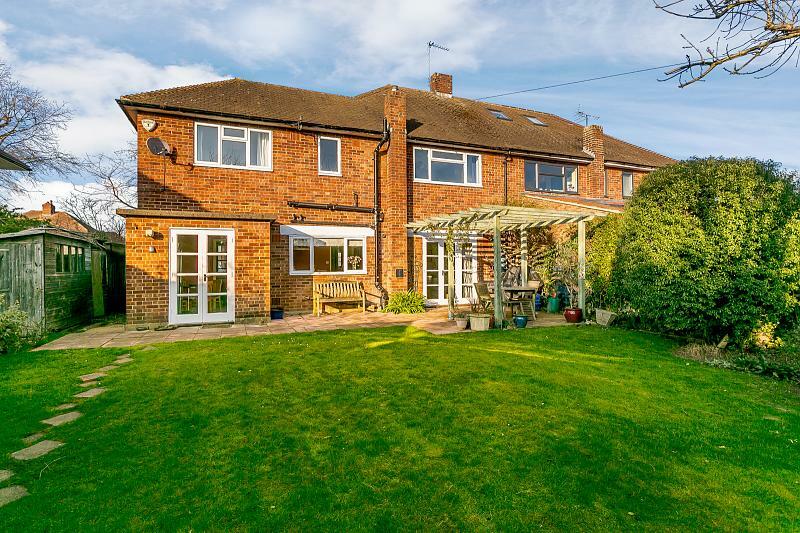 This is a fabulous opportunity to buy your next long term family home. 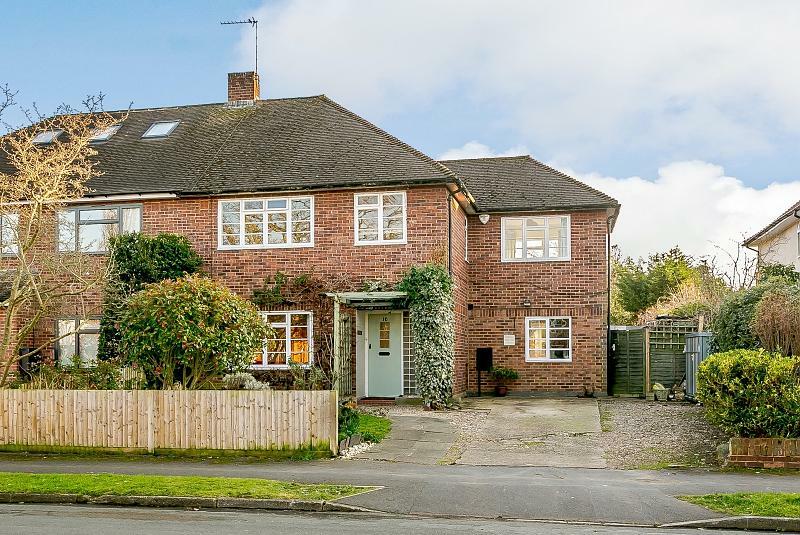 Boasting four bedrooms, two separate reception rooms plus a kitchen breakfast room with a separate utility, this is already a comprehensive family house, however it offers the opportunity to grow into the house over many years to come. 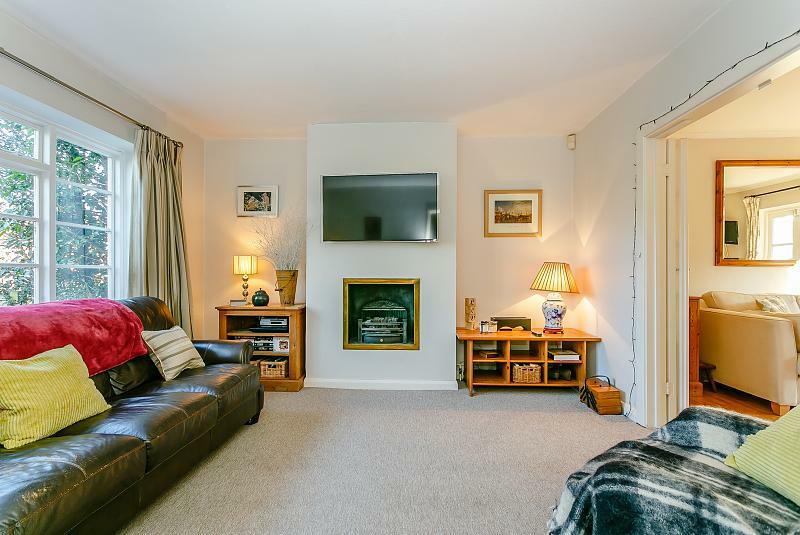 The majority of the neighbours have extended either to the rear, the side, or created further bedroom accommodation in the loft and this is one of the last opportunities to buy the unextended version in the road. We are expecting keen and early interest so suggest that to avoid disappointment you contact Curchods Estate Agents of Esher on 01372 462000.You enter the house into a large hallway which give you access to the principal reception rooms on the ground floor, the first of which is the formal living room which is smartly decorated with a gas fireplace making for an extremely cosy family room for the cold winter nights. 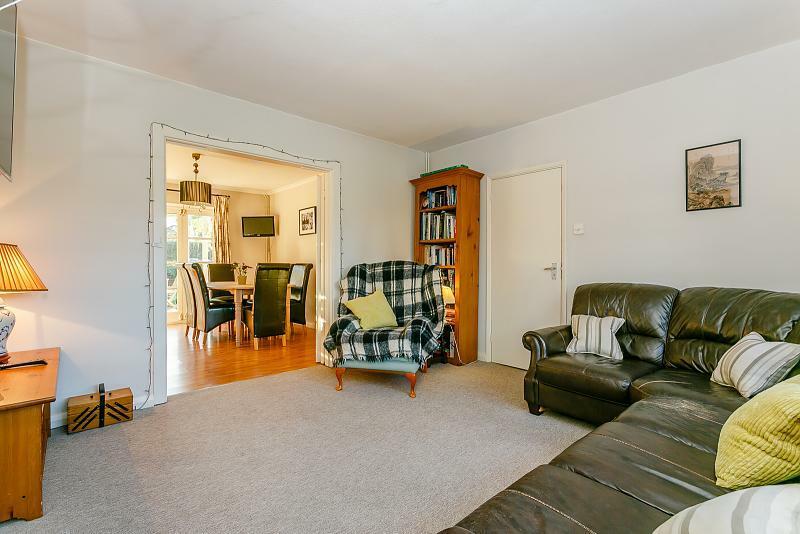 The living room has been cleverly opened up to the dining area with glass doors giving the flexibility of having two separate areas or for entertaining an open space which, through French doors, leads out onto the patio and the south facing rear garden. The kitchen has been cleverly designed to make for an open working space for any family. 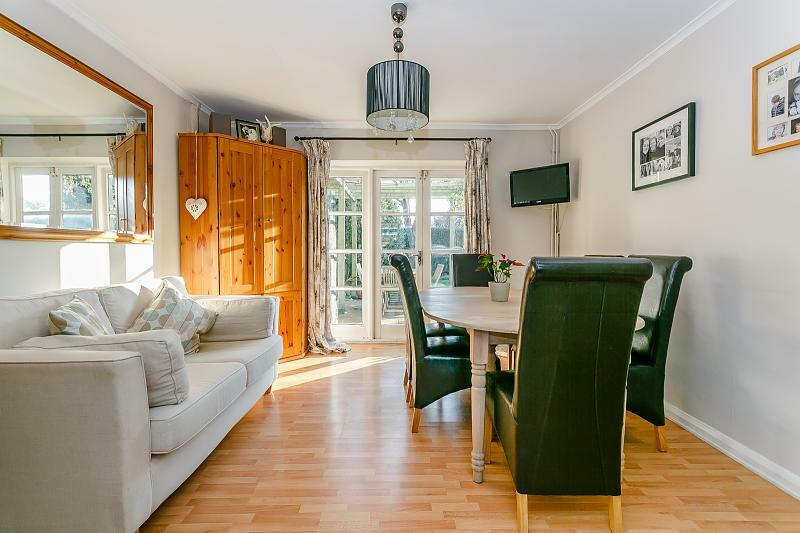 The kitchen is well equipped with a range cooker with five ring gas hob, an integrated dishwasher, a range of fitted cupboards and a tiled floor throughout, opening into a family and day to day dining area with a breakfast bar and double doors leading out onto the sunny patio. The kitchen has a south facing aspect and has light flooding in at all times of day which makes this a light sunny area to be enjoyed by the family and there is also a separate utility area, There is plenty of scope here STPP, for enlargement of the kitchen, as you will see the neighbours have both taken advantage of. The bedroom accommodation is found on the first floor all accessed from a large hallway. Bedrooms 1 and 2 are both of a similar size, one with fitted cupboards and the other with a southerly aspect overlooking the rear garden. Across the hall the single bedroom 4 which is currently used as an office and shares the use of the comprehensive family bathroom, with a bath with a shower overhead. The bedroom 3 is another double bedroom with its own en suite shower and has dual aspect making this a light and bright room for guests or lucky teenage children to enjoy. Again subject to the usual consents there is plenty of scope to enlarge the bedroom accommodation.